Keith's Dolls Hospital provides high quality doll and toy repair and restoration in New Zealand. We specialise in moulding new fingers, toes, hands and feet for plastic and composition dolls, repairing die-cast scale models, and restoring dolls prams: repaint, rechrome, reline, and some cane work. Founded by Keith Martin, we have worked with over 10,000 very satisfied clients. 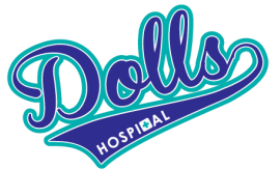 With over 37 years of experience, we're one of the most trustworthy and skilled doll hospitals today. Keith's Dolls Hospital is operated and owned by original family members, and based in Palmerston North. Keith’s background is in engineering and he has developed glues specific for doll repairs making sure our work lasts the test of time. Every time. We have 37 years of skilled experience, and have over 10,000 satisfied clients who stand by our work. In every case, we’re happy to evaluate and advise on repairs to any type of toy or doll, no matter the complexity. Contact us to see how we can help. We understand children’s attachment to toys, and strive to return your precious toys back to you as soon as possible. ﻿We take care of ﻿﻿any ﻿﻿kinds of toys and ﻿﻿dolls ﻿﻿﻿﻿﻿﻿﻿with ﻿﻿﻿﻿﻿passion and commitment. Contact the Dolls Hospital for a free quote on (06) 354 7973 or email us.